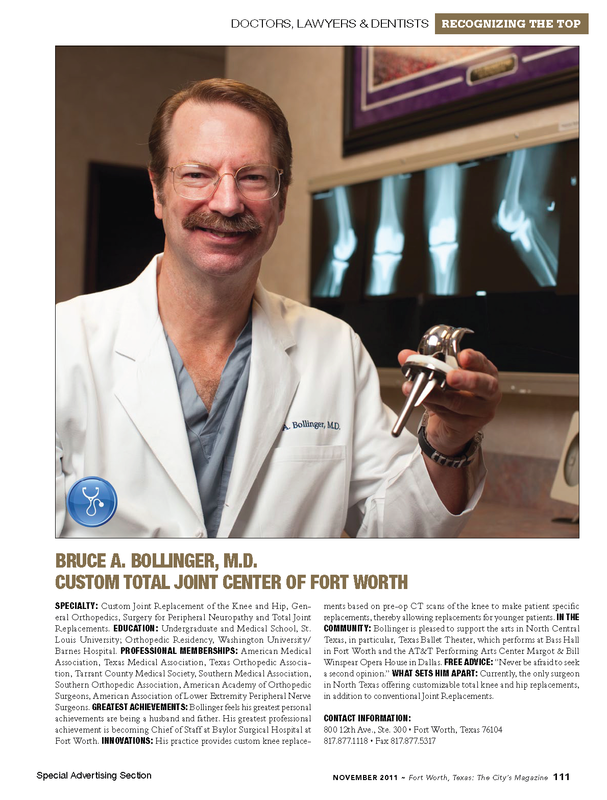 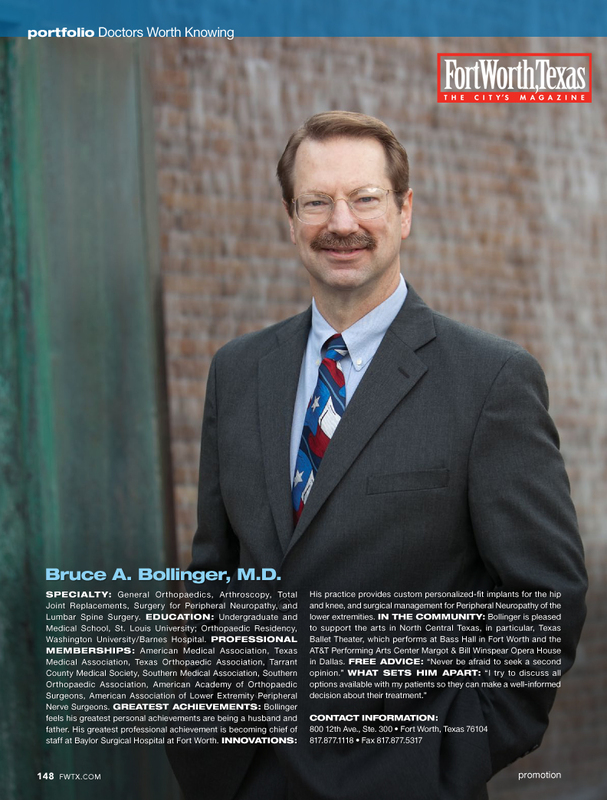 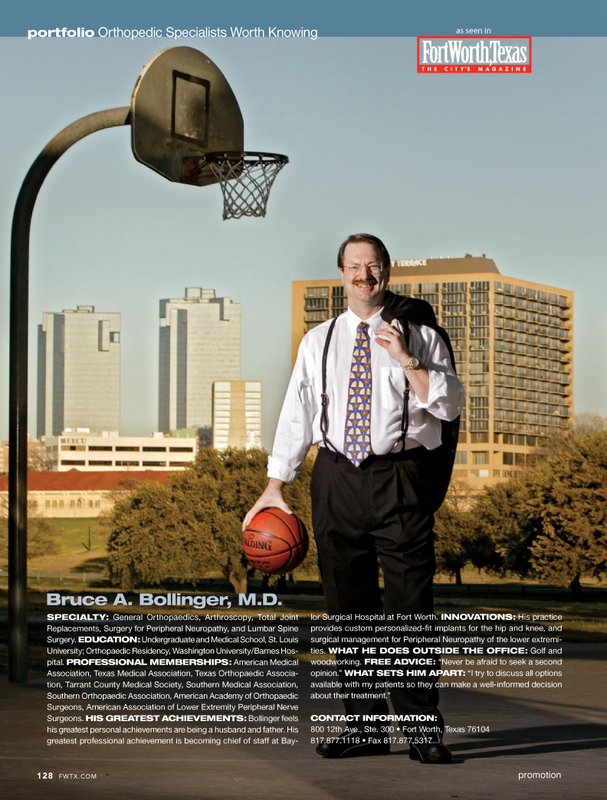 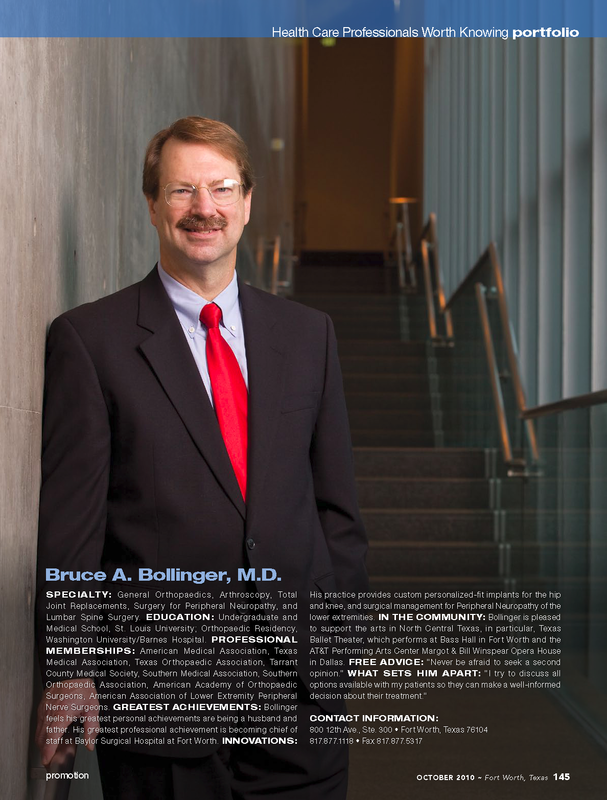 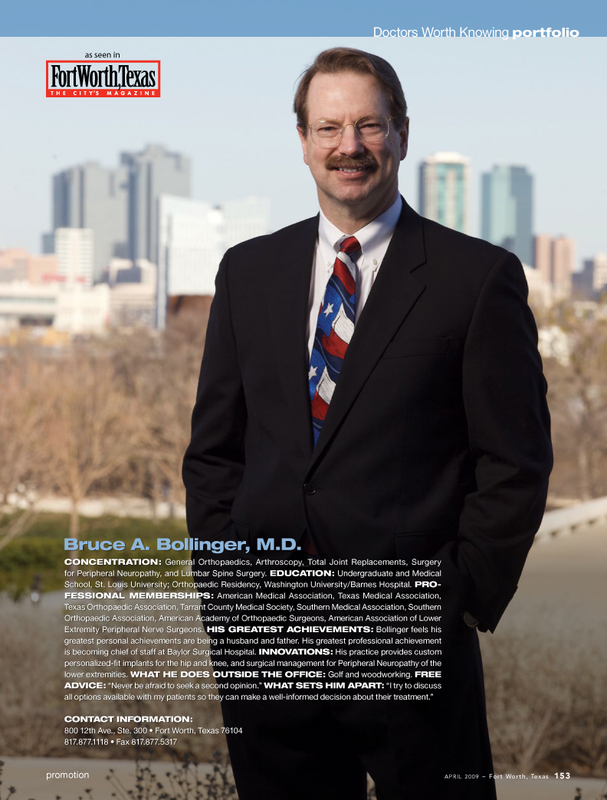 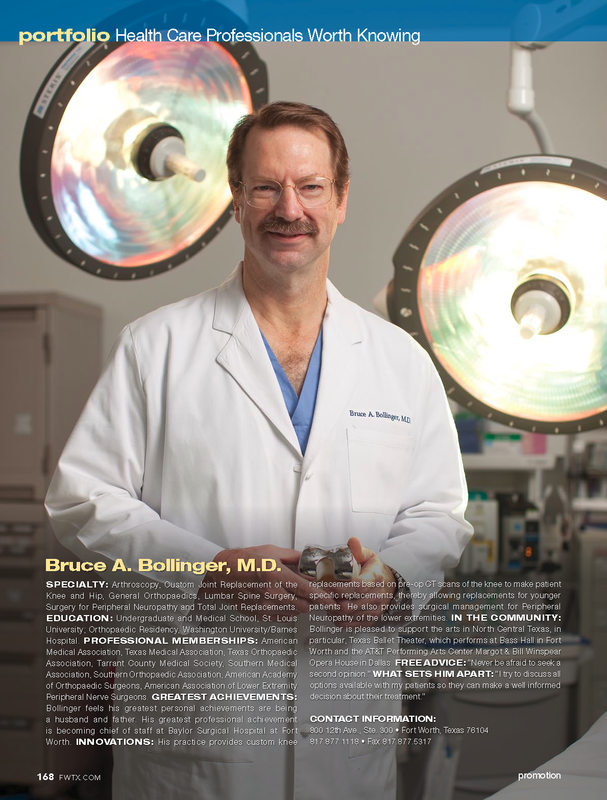 For over a decade, Dr. Bollinger has been chosen as a 'Top Doc' by his peers in Fort Worth, Texas - The City's Magazine. 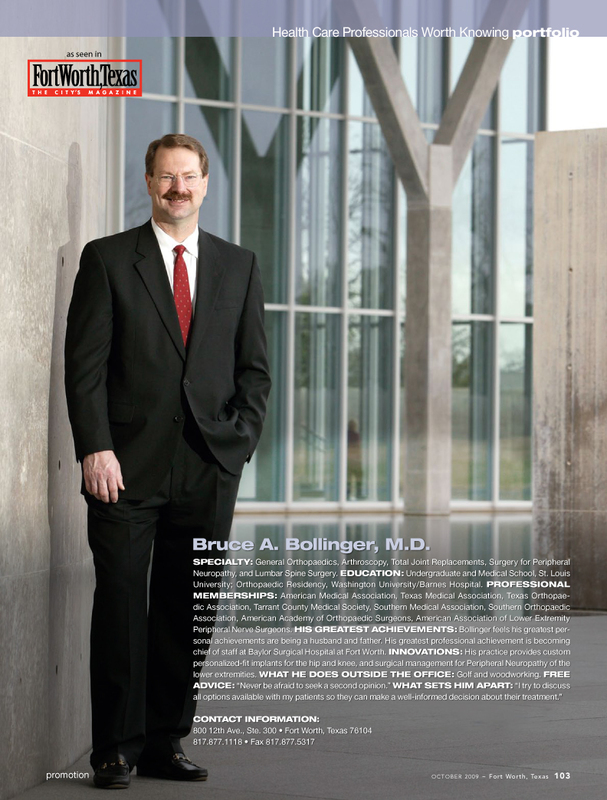 Click on one of the pages below to learn more. 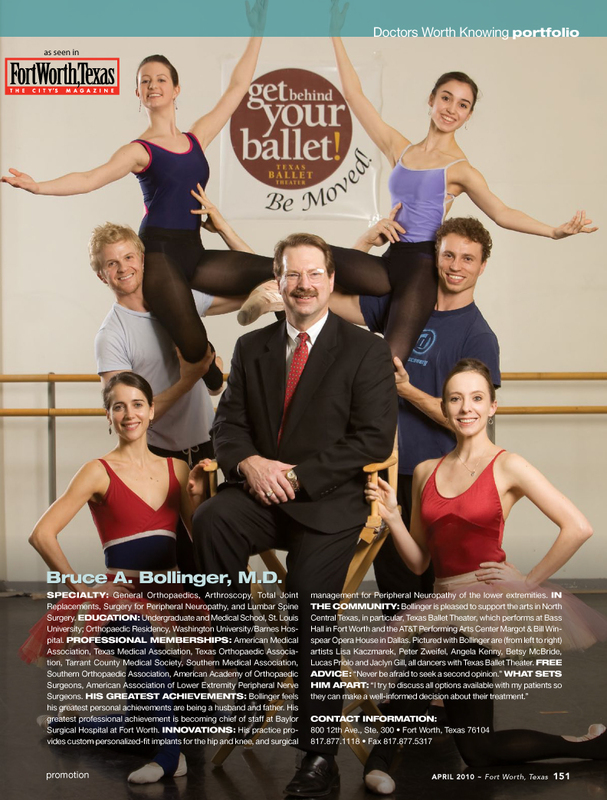 Use the image link if you do not have Acrobat Reader.